These genius baby sleep solutions can drastically improve the quality of your child’s sleep…and yours too! 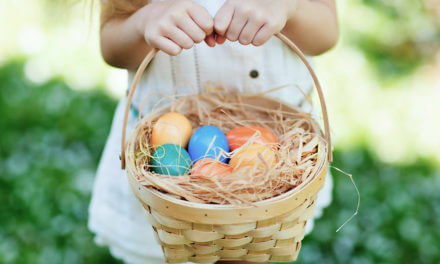 Remember all that advice (sometimes unsolicited) that was thrown at you when you were expecting your first baby? “Make sure you’re stocking up on good sleep now!”, they said with a wink. Or the ever‐popular, “sleep when the baby sleeps” about when to catch a few zzz’s after motherhood begins. We took it all in stride. But truthfully, many of us didn’t actually realize how important sleep can be pre‐baby. Now, with child(ren) in tow, we can pretty much all agree, that sleep – and encouraging your child to become a good sleeper – is crucial for both your little one, and for you. Well that, and also a decidedly fast‐acting caffeinated beverage for those rough mornings‐after! If you’re struggling to get the sleep you need – whether you have a newborn, a toddler, or a big kid – we’re here to help. 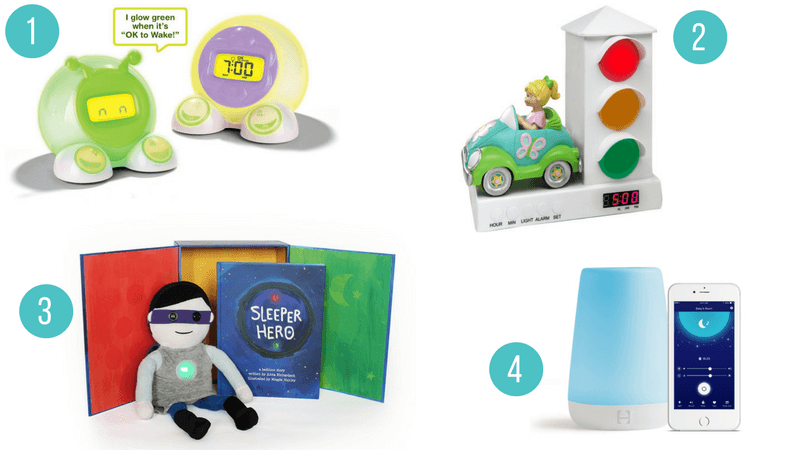 We’ve researched, tested and selected the best‐of‐the‐best sleep products that will help your child sleep like a champ – and some that will also give YOU peace of mind, so that you aren’t losing sleep worrying. 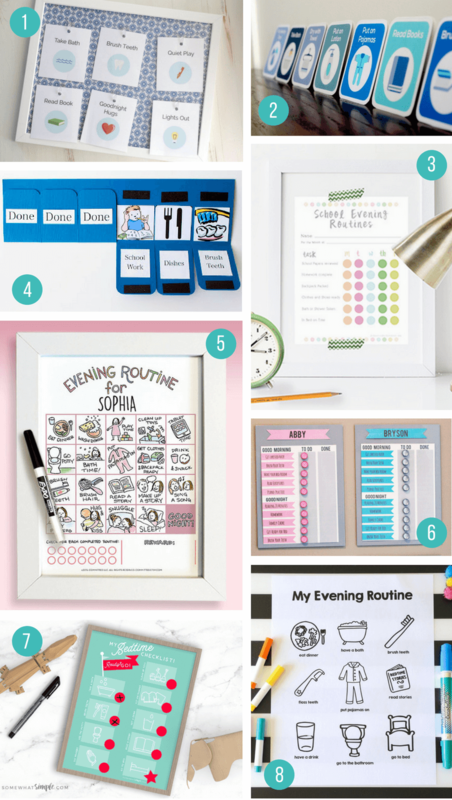 Here are our 35 favorites that will help everyone get more of that coveted shut eye. Hurrah! 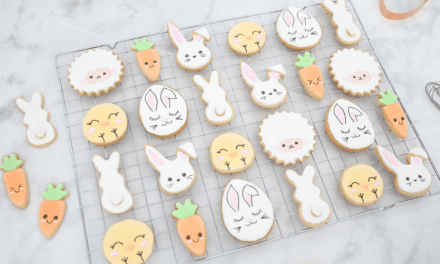 PIN for when you need to try something (anything!) to help your child sleep better. You’ve probably heard the endless advice about swaddling your baby during the newborn stage. And it’s true – keeping them wrapped up just like they were in the womb helps them feel safe and secure in their big, new world. While we’ve seen great success in the early newborn days with our favorite muslin swaddle blankets, there will likely come a point where your baby will find its way out, usually waking them up in the process. 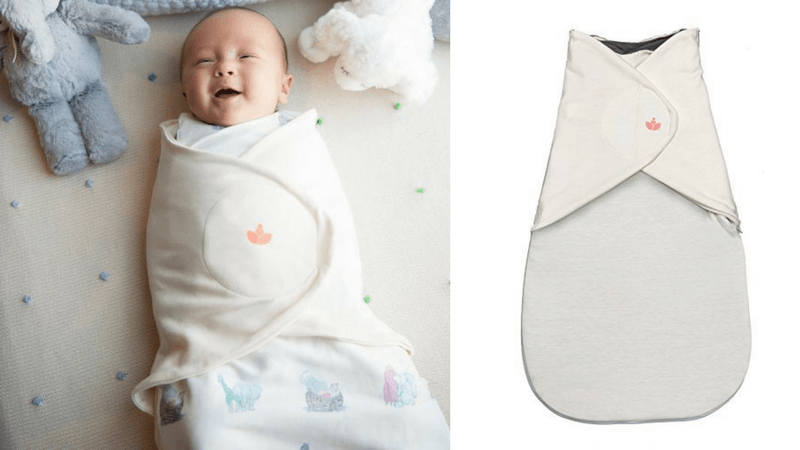 Luckily there are a plethora of options on the market to solve this problem, and we’ve highlighted our favorite “high‐tech” swaddlers below that have been specially designed to keep your baby secure and cozy all night long. These beautiful swaddles may seem fairly pricey, but it’s for good reason. They use the same temperature‐controlling fabric used in NASA spacesuits so you can rest assured that baby is never too hot or too cold. We especially love how the swaddle has a zipper at the bottom for nighttime diaper changes so you don’t have to completely unswaddle baby, and the swaddle “wings” are easy to adjust to get nice and snug. And the cherry on top: with the purchase of each Little Lotus they help save a baby in a developing country. The Little Lotus Swaddle comes in size Preemie‐3 months but is also available as a sleeping bag version for 3–6 months to 12–24 months. If you have found that your little one seems to have the gladiator‐like strength to somehow bust out of every other swaddle, we have just the solution. The Miracle Blanket certainly lives up to its name when it comes to keeping your baby snug all night long thanks to its special interior flaps which wrap over your baby’s arms and then under their body. Once you get the hang of it, it’s easy to wrap nice and snug, with no buttons, Velcro or zippers to fiddle with. 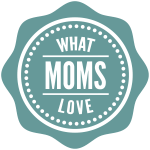 It has indeed worked miracles for many What Moms Love staffers, and the reviews on Amazon speak for themselves. Another great option for those little Houdini babies who seem to do anything they can to break free from the swaddle is the Love to Dream Swaddle UP. This is the only swaddler that purposely positions your baby’s arms up, using special “wings” by their shoulders. 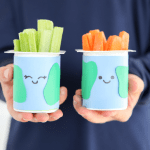 This not only helps prevent them from rolling onto their bellies, but allows them to self‐soothe like they did in the womb. There’s a dual‐zipper for easy diaper changes, and because it’s just one‐piece, there are no extra flaps, Velcro, or wrapping involved…which your sleep‐deprived‐self will ultimately be thankful for. 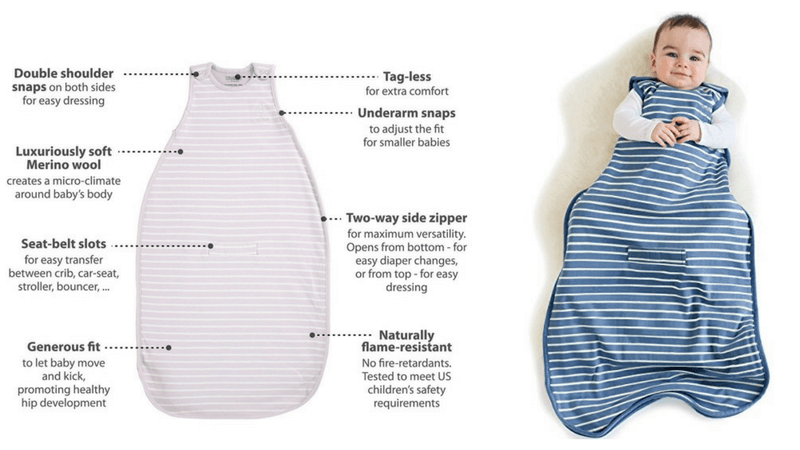 Love To Dream also has a smart step‐by‐step system to transition your child out of the swaddle with their Swaddle UP 50/50 which features special zip‐off “arms” that you can remove one at a time when they’re ready to break free. This also makes this swaddle last that much longer – making it a worthy investment. The Love To Dream Swaddle UP is available in sizes XS‐Medium (4.5lbs-18.5lbs). The 50/50 in sizes Medium‐X‐Large (13–32lbs). Both come in various weights, from Summer Lite to Winter Warm. Sure, this might make your baby look like the Michelin man, but we have seen so many success stories with this smartly designed “puffy suit”. The Baby Merlin’s Magic Sleepsuit is a thickly padded one‐piece garment that muffles their startle reflexes so they don’t keep waking themselves up. 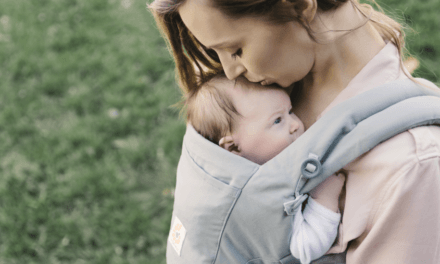 It is best used from 3+ months when babies are ready to transition from the swaddle to a wearable blanket, but may still crave that feeling of security. Please note: this product is only recommended for back sleepers, so if your baby is already rolling over, choose from our top‐rated wearable blankets in the next section instead. Baby Merlin’s Magic Sleepsuit comes in Small (3–6 months; 12–18lbs) and Large (6–9 months; 18–21lbs). 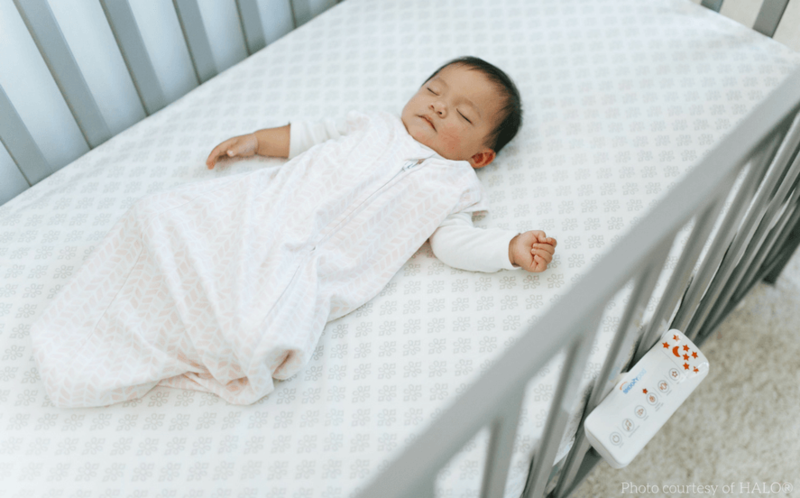 Just when you think you’ve found the perfect swaddle solution, baby starts to roll over during the day (typically around 3–4 months), and now you’re back to square one. Well, not so fast. There are some brilliantly designed wearable sleep blankets which allow you to continue to follow the AAP recommendation to not have any loose blankets in baby’s sleep environment, while also ensuring that your growing little one stays warm throughout the night. 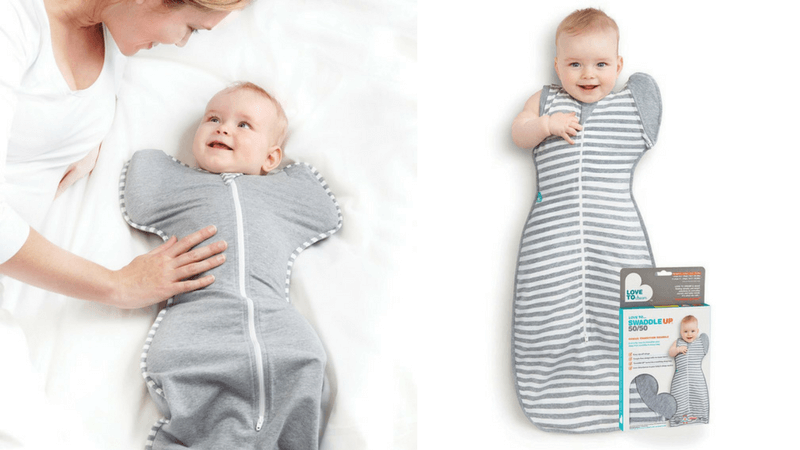 A list of the best Swaddles and Wearable Blankets wouldn’t be complete without including those from HALO, the brand known for the “original wearable blanket” and whose “back is best” philosophy was one of the trailblazers for making safe sleep easier for families. 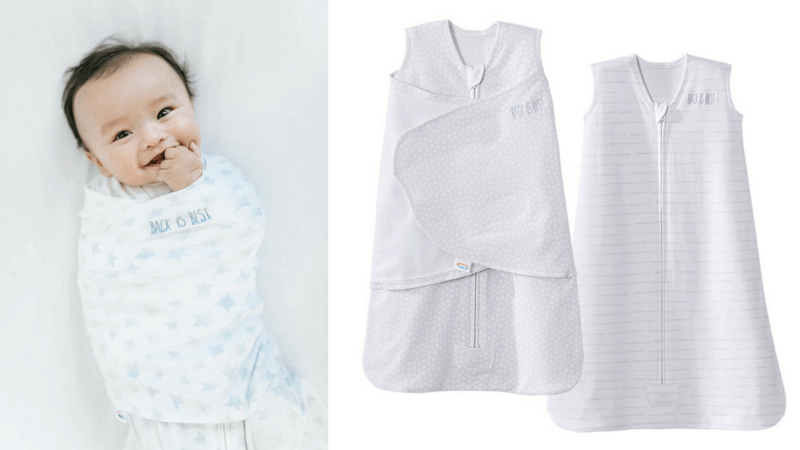 We highly recommend both HALO’s SleepSack Swaddle line and their SleepSack wearable blankets. We love that their swaddles are easily adjustable to suit your baby’s sleep style: choose to swaddle both arms down, hands‐to‐face (for those that like to self‐soothe), or one or both arms out (great for that transition period to a wearable blanket). Our testers found having this type of flexibility with one swaddle extremely helpful as they were able to easily test each variation to get a better sense of their baby’s preferred swaddle/sleeping position. (Editor’s note: I had a thumb/hand sucker and this was the only swaddle where she was truly happy because I could swaddle her with one hand up so she could get it in her mouth!). All HALO SleepSacks have a roomy bottom, allowing for healthy hip development, and come in a variety of different fabrics (from muslin to micro‐fleece), fun colors and designs – although we must admit we are partial to their new Platinum line which features modern, fresh prints in muted pinks, blues and greys, and includes a new 2‐way zipper that opens from the top for easy dressing, and from the bottom for easy diaper changes. We will admit, we were late to the merino wool party because, frankly, when we think of wool, we tend to think of hot, itchy sweater material. Not so, with Woolino’s award‐winning merino wool sleeping bags which allow for a natural regulation of a child’s body temperature, are breathable and can retain warmth, even when wet. Woolino sleeping bags are 100% natural and made from premium luxuriously‐soft hypo‐allergenic Australian merino wool. They feature shoulder snaps and a 2‐ways side zipper, plus have a small opening at the back where you can thread through a car seat, bouncer or stroller buckle for better on‐the‐go sleeping. Better yet, this could be the one and only baby sleeping bag that your baby will need as you can use it from 2 months all the way to 2 years old – saving you from buying a new one every couple of months. Editor’s note: these sleep sacks are so soft that we had one child adopt his as a pseudo “lovey”, wanting to bring it with him to snuggle with as a blankie wherever he went! White noise can serve as an amazing multi‐function sleep aid for your children. First, it’s a naturally relaxing sound for babies who are used to hearing gentle whoosh noises in the womb. It’s also a great way to dim the other noise going on in your house (especially if you have older kids!) so you don’t feel like you have to tiptoe around while baby sleeps. 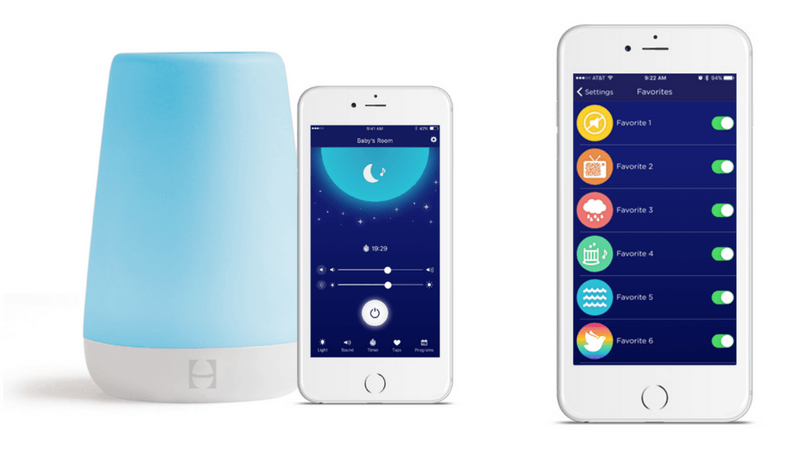 This beautifully designed modern machine combines three essential sleep secrets into one device: sound machine, night light and “OK to wake” alert – and all are fully customizable to match the sleep needs of your child. 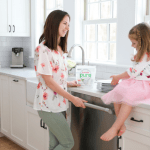 The sound machine offers numerous variations of sound – from a laundry machine, to ocean waves, to your standard white noise – and covers a large volume range. The night light has infinite color options that kids find super fun (and separate “coverlets” can even be purchased with whimsical designs to match your decor style), and the Rest can be programmed to automatically turn a certain color when you deem it OK for your child to get out of bed in the morning. But the best feature of all: you can control everything on the Rest via an easy‐to‐use app from your smartphone. So if your toddler suddenly decides to have a dance party while your baby is sleeping, you can turn up the volume of the sound machine without ever going into baby’s room. You can even program morning, nap time or nightly routines so that white noise and a night light turn on/off at a certain time each day to help your child get into a healthy sleep routine. If what you’re looking for is a basic, but incredibly reliable and highly‐rated white noise to lull your little one to sleep, look no further than the LectroFan. You can easily set the pitch of the noise, and choose between a fan or straight‐up white noise. The volume control has a huge range (more so than many others we tested) and it’s small and discreet. 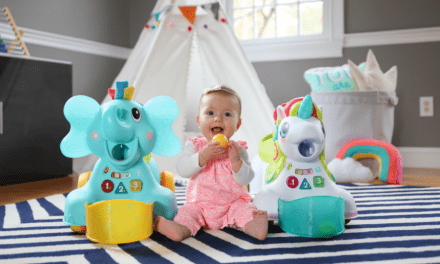 If you consider white noise one of those sleep essentials that you can’t live without, we highly recommend the Marpac Hushh as the perfect travel white noise machine that will (finger’s crossed) help your baby sleep while you’re out and about, or on the road. At only 3.5” the Hushh is easy to toss into your diaper bag and has a baby‐safe flexible clip that can attach to your stroller or car seat. You can choose from 3 soothing sounds and control the volume level, but it also gives you the option to lock the device so curious hands can’t inadvertently adjust it. It’s a battery‐free machine, simply use the handy USB cable to recharge or plug into an existing USB plug base. Carry this little machine with you at all times to pull out whenever the going gets tough! Are you losing sleep because you’re too busy worrying if your baby is OK while they sleep? If so, the Owlet Smart Sock will give you the peace of mind you need in order for you both to get a good night’s rest. The Owlet is a lightweight, cordless sock‐like device you wrap around your baby’s foot that monitors their heart rate and oxygen levels using clinically‐proven pulse oximetry. While we don’t claim to fully understand what exactly that is, we do know that using Owlet’s app, you can stream this vital information in real‐time and instantly receive notifications if their rates/levels are higher or lower than specified zones. While this app works with WiFi, the Owlet also comes with a Base Station that connects to the sock via Bluetooth, so even if your WiFi is down, you can still be alerted to potential issues. The sock does need to be charged in between naps (battery life is about 18 hours) but it’s simple to do by plugging into the Base Station. The Owlet comes with 3 different sock sizes so you can use it until they are approximately 18 months. 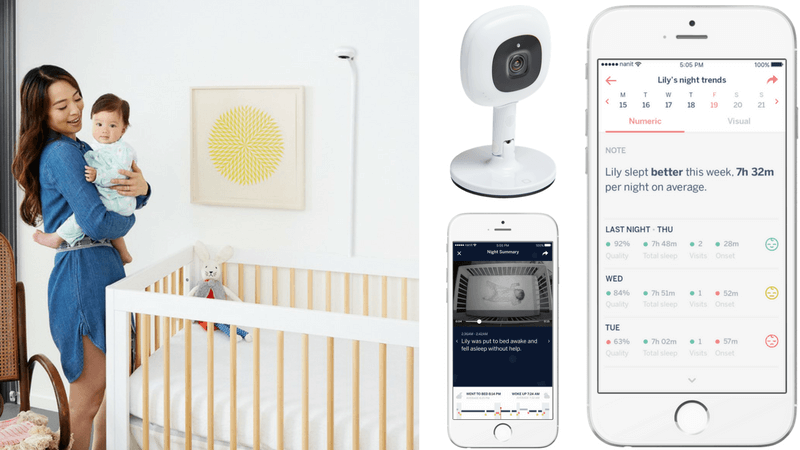 And for 18 months of valuable peace of mind, we’d say the Owlet is a worthy investment! Speaking of peace of mind, we highly recommend investing in a video monitor so you can actually see your child in addition to hear them. It will be invaluable once you move your baby into their own crib so you can check on them without having to come into their room (and potentially wake them up when they would have settled back to sleep), and will continue to be helpful as your child grows (ie. 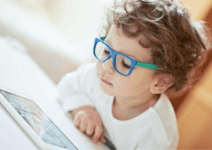 to see what your toddler is really doing once the lights go out!). One we’re especially fond of is the Infant Optics DXR‐8. 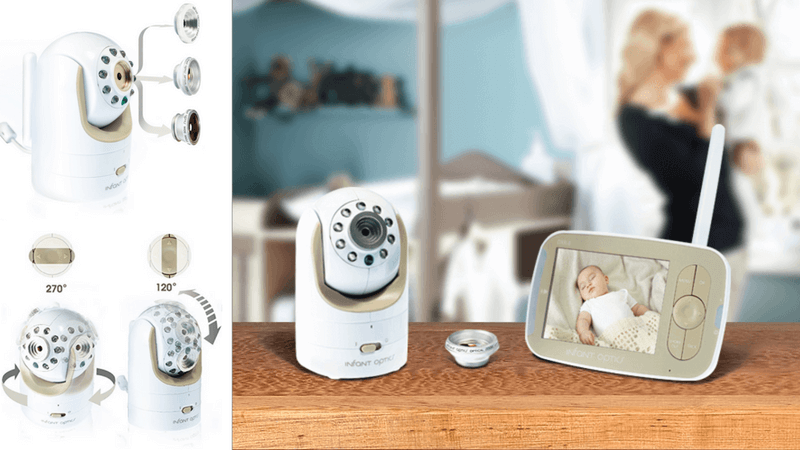 This is the first baby monitor with an interchangeable lens so you can choose the one (normal, zoom or wide) that is most suitable for your camera’s set‐up and child’s stage of development. For example, you may want to use the close‐up lens for your newborn, but change to the wide angle once your child transitions to a bed so you get a better view of their whole room. The LCD color display on the monitor itself provides superb image quality and you can use it to pan/tilt/zoom the camera to achieve the optimal view. It also includes a 2‐way talk feature (which we’ve found can work miracles to provide reassurance to even a newborn that you’re never far away), remote in‐room temperature display, and it lasts 6–10 hours on a single charge. If you have more than one child’s room to monitor, you can add on additional cameras and scan between the rooms from the same monitor. With almost 15,000 positive reviews on Amazon, it’s their #1 Best Seller for a reason! Now if you want to take your video monitor one step into the future, meet Nanit. Nanit’s camera films in 960p HD video and gives you some of the clearest images we’ve ever seen in a baby monitor – both day and night. It comes loaded with temperature and humidity sensors, a built‐in nightlight and offers an amazing bird’s eye view thanks to their safe and secure wall mount. But where Nanit really separates itself from the competition, is with its Insights subscription, which complies incredible data about your child’s sleep development and delivers it to you in an easy‐to‐analyze fashion via their app. To be honest, we’re still a little baffled by how Nanit does it, but somehow its sophisticated machine learning and computer vision algorithms can track and understand newborn sleep. These insights are then neatly packaged into a nightly Sleep Score that includes a recap of their sleep activity, including total time asleep, how many times they soothed themselves back to sleep, number of parent visits and their overall sleep efficiency. 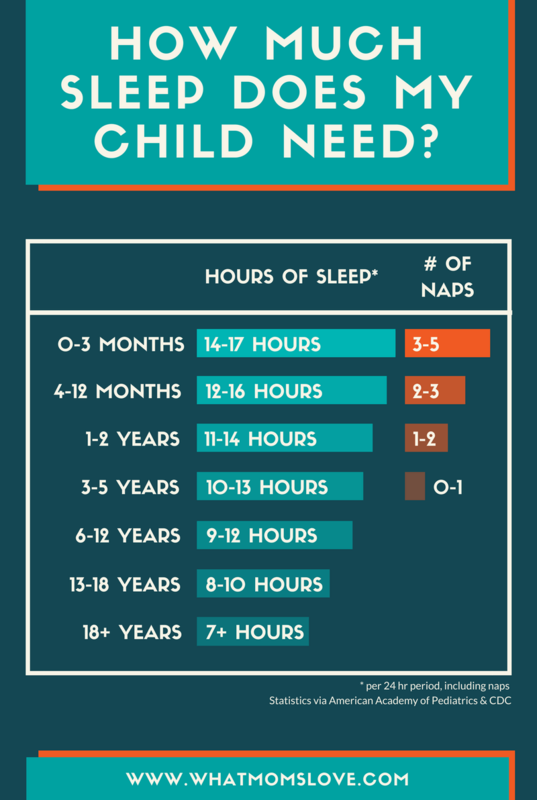 These insights really are top‐notch and from them you can get customized sleep tips for your baby, look at their improvements over time, and get age‐based comparisons. In addition, Nanit can also create timelapse Day and Night summaries so you can see your baby’s whole day in seconds (forget scrolling through hours of footage!) and offers access to at least 30 days of video and sleep history. To top it off, Nanit is also compatible with Amazon Alexa, so you can go hands‐free and ask Alexa how your baby slept, what time they woke up, or how many times you took them out of the crib each night. It’s state‐of‐the‐art‐technology that will make it easier for you to understand your baby’s sleep, so that both you and baby can get more of it! We’ve all heard stories of parents driving around the block an infinite number of times for a baby who seems to only sleep in the car (perhaps you’re even one of them!). Well, we must say, we’ve been there too, but that was before we discovered some of these amazing motion‐based products…because really, no one wants to be circling their neighborhood ad nauseam into the wee hours of the night, right? This magical mat has been a lifesaver to many of our mom testers, many of whom say that it’s the only thing that can consistently calm their babies. The Tranquilo Mat uses gentle vibrations and soft sounds to help babies transition from womb to real world. You simply place the mat under your baby – this could be in their bassinet, crib, activity gym, or even a stroller – and you’ll often see a quick change in their behavior as their bodies start to automatically relax. We tested with one super fussy baby who struggled with gas at night with stellar results: within minutes on the Tranquilo Mat, the fussing eased and baby (and mama!) drifted off into a peaceful slumber. Tranquil indeed! There are 3 vibration levels and 2 heartbeat modes to choose from, and it’s cord free and comes with a removable and washable cover. We recommend the larger size which is still compact enough to be folded up and brought with you on the road. 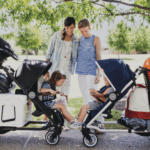 The Rock ‘n’ Play has been a lifeline for many new moms (ourselves included) and can take on the role of bassinet, pack ‘n’ play (it’s foldable and portable), a swing/cradle/rocker and just a comfy place to sit and hang. What we love the most is that the Rock ‘n’ Play lets your baby rest at a slight incline, which can be especially helpful for babies suffering from colic or reflux who are far more uncomfortable lying flat. This rocker comes in several different models, from your bare‐bones rocker (that you push with your hand) to ones with more bells and whistles like vibrating options, auto‐rock features, lights and sounds, and the latest version can even be connected to your smartphone! Please note: the Rock ‘n’ Play is only for use with an infant unable to roll over and/or pull up on the sides. This is another product that has received rave reviews, particularly for those who have to do a full J.Lo-like workout trying to get their baby to settle. 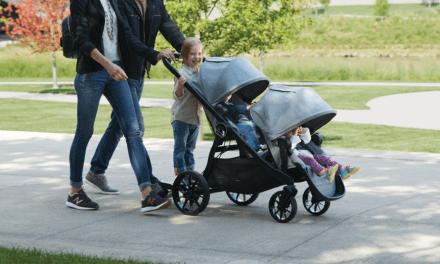 The 4Moms mamaRoo takes the same motions your baby already loves (think car ride, tree swing, wave, kangaroo and rock‐a‐bye) and mimics them through a smartly designed, bluetooth‐enabled seat. So the seat does all the hard work, while you can sit back and enjoy the peace and quiet – adjusting the motion and sound via your handheld device if and when necessary. And as it serves double‐duty as a swing and bouncer seat, it’s a great space saver too. We also love that the mamaRoo cover is super easy to remove (just unzip!) and machine washable. We recommend getting the newborn insert that easily slips into the seat for baby’s first months. And we must admit, the sleek, modern design can’t be beat…something to consider when it will have a prominent feature in your living room for the next 6 months! With any motion‐based product, some babies will love them and settle like a dream, others may not have as much interest. Whenever possible, check out the products at your local baby store and ask if you can take the floor models for a test drive. 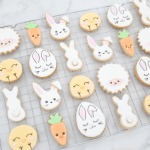 While a one‐time trial may not be representative of what their experience with the product will ultimately be like, it can give you some valuable insight into their likes and dislikes. Is your little one having a hard time transitioning from the bassinet to the crib? Or perhaps their crib to a big kid bed? 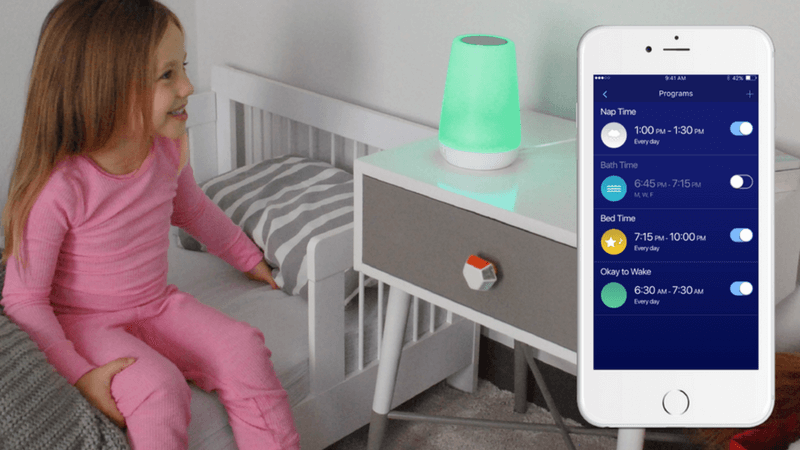 HALO has created an amazing soothing device that is intended to address your child’s restlessness upon moving into a bigger, and different sleep space. Simply slip the SnoozyPod device underneath your child’s mattress (works with cribs, toddler beds or even twin sized) and let this all‐in‐one vibrating bedtime soother work its magic. Our testers had stellar results, thanks to the combination of gentle vibrations, tranquil sounds and an amber glow night light that create the ultimate calming sleep environment. 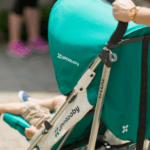 One family who was having a hard time transitioning their baby from bassinet to crib, reported that the SnoozyPod completely changed everything…from wake‐ups every few hours, to sleeping 10 hours straight! HALO has even made the SnoozyPod Bluetooth compatible, allowing you to control it via your Apple/Android app to change the settings as needed. Our testers found this extremely useful for making adjustments during the night, or at nap time, particularly when fussing occurred — ultimately allowing them to increase the intensity of the vibrations, or turn on soothing sounds to send their child back to sleep…all without entering their room! And for those who often fall off their regular sleep patterns while traveling (whether it’s in a hotel room or at Grandma’s), the SnoozyPod’s compact size makes it a great travel companion that can duplicate their soothing sleep conditions in any foreign space. We are slotting this one into a category called “But really…can you put a price tag on a good night’s sleep?”, and we are serious about it because have you seen the SNOO?! Dr. Harvey Karp (author of The Happiest Baby on the Block amongst other lifesaving best sellers) has designed a bassinet sleep system for babies aged newborn to 6 months (or whenever baby can get on their hands and knees) which integrates 3 of the 5 S’s system around which his book is based (shushing, swaddling and swinging). This incredible bassinet comes with a special swaddling system that attaches to the inside and automatically sways, rocks and even shushes your baby back to sleep, using the same rhythms and sounds that calm babies in the womb. 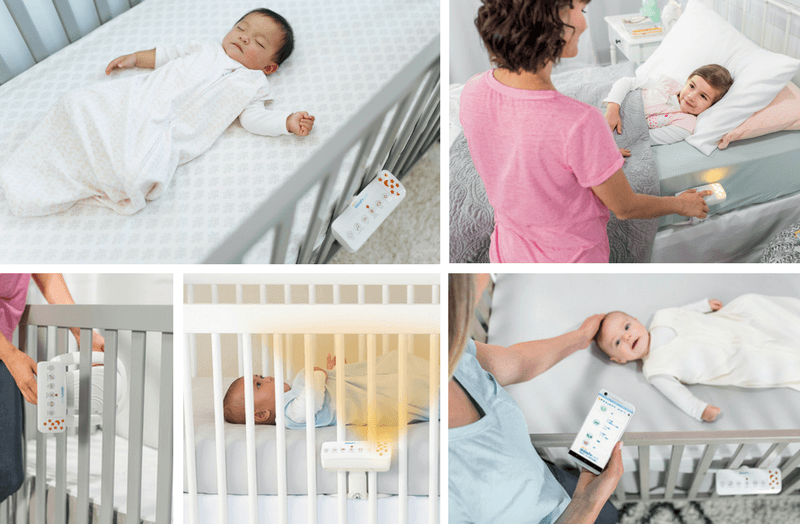 Its smart technology can even detect crying and will automatically adjust the rocking and noise intensity to calm their fussing – or you can customize the levels remotely using the SNOO app. The price tag is a whopper on this one (although you can often find it with a large discount), but the reviews are stellar. So it could just be worth it for those truly sleep‐deprived. We highlighted this genius 3‐in‐1 device in our Sound Machine section above, but its nightlight feature is equally as magnificent. 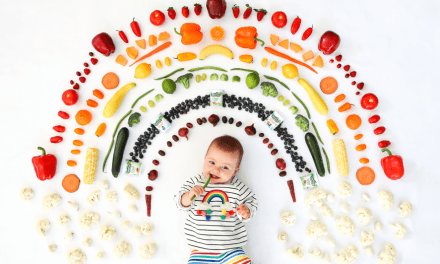 You can customize the light to be any color of the rainbow…or better yet, have it turn into a rainbow by cycling thorough beautiful changing colors (which totally mesmerized our kid testers!). You can easily adjust the intensity of the light, from dim for sleeping or nursing, to bright enough for reading. But our favorite feature has to be the easy touch on/off. 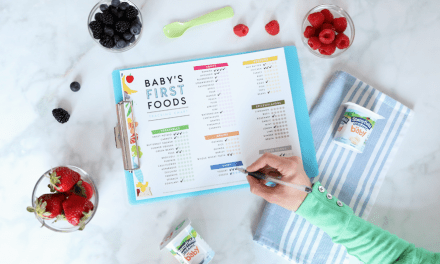 There are no buttons to fiddle with, simply touch the ring at the top of the Rest to cycle through your pre‐programmed favorite colors and sounds (our mom testers found this especially helpful for nighttime feedings). 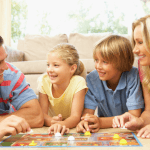 Alternatively, use the Rest app via your smart phone to make adjustments without ever entering your child’s room. 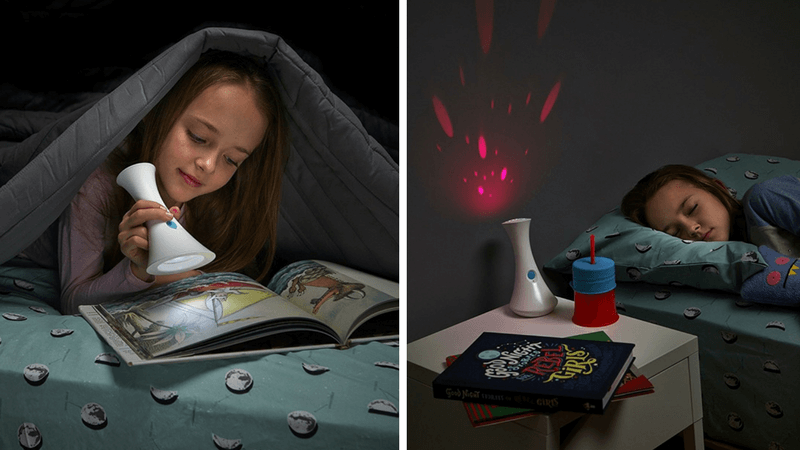 This modern looking combo nightlight and flashlight was a big hit, especially with kids struggling with being alone in their rooms at bedtime. The Gleam can be used as a nightlight to project a starry design on their wall or ceiling that soothes by changing colors in a quiet, relaxing way. You can keep the nightlight on for only a few minutes, or adjust the settings so that it stays on all night. Alternatively, the Gleam can easily be picked up off of its dock and serve as a flashlight. The dock serves as a recharging stand, and the flashlight gets around 4 hours of power time when fully charged. 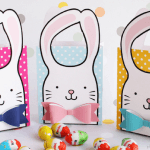 These innovative nightlights have proven to be a successful option for families here at What Moms Love. 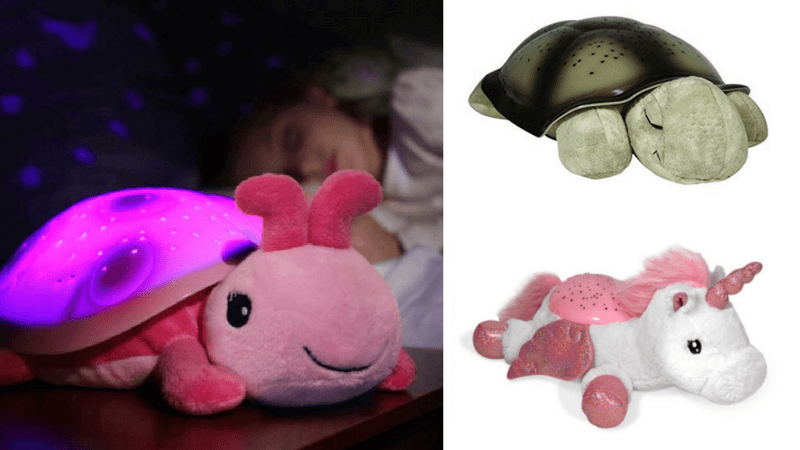 The Twilight is a battery‐operated stuffed animal (available as a variety of creatures including a Turtle, Ladybug, and Unicorn) that will quickly become your child’s favorite sleeping buddy as it projects a complete starry night sky onto the walls and ceiling of their room. We love that you can adjust the light’s color to your child’s favorite – creating a personalized and magical environment to help them fall asleep. After 45 minutes, the lights automatically turn off, ensuring complete darkness so they can stay in deep sleep. 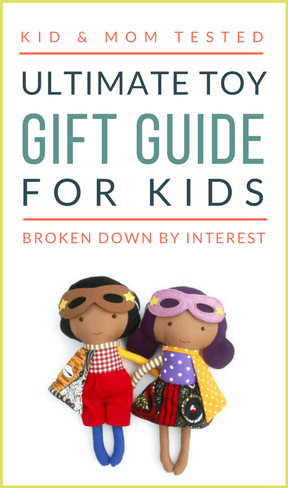 It even comes with a constellation guide so you can further engage your child looking for the Big Dipper or Orion’s Belt! Once your child moves into their first big kid bed, they’ll quickly realize that they now have the freedom to get out of said bed whenever they so choose…even if this is at 5 o’clock in the morning. The struggle to get them to stay in their bed (or at least their bedroom!) until a semi‐reasonable hour is all too real. But alas, there can be a solution! Clocks that actually help your child know when it’s the right time to get out of bed. There are several gems on the market that we’ve revealed below…we have seen amazing sleep‐in transformations with these! This clock is simple for parents and toddlers alike to understand; when it turns green, it’s time to get up! Simple to program, there’s a “Wake” feature that turns the green light on, or an “Alarm” setting which comes in handy if you’re blessed to have sleeping kids who actually need to be woken up at a certain time for school or activities. There’s also a Nap function where you can set a timer for a specific length (say 1 or 2 hours) before the OK‐to‐wake light turns on. It comes with 2 interchangeable face plates and when the green light turns on, a cute face appears on the clock (which kids seem to love). It can also be used as a nightlight, emitting a soft yellow glow. This Stoplight clock may look a little kitchy, but it is super simple and easy for even the youngest kids to understand. Green means “go” (or OK to get up and bug mom) and red means “stop” (a.k.a. stay in your bedroom!). The yellow can act as a nightlight. 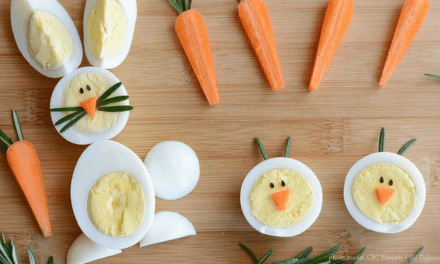 We’ve seen incredible results with this — it’s totally worth a try for your sanity’s sake! 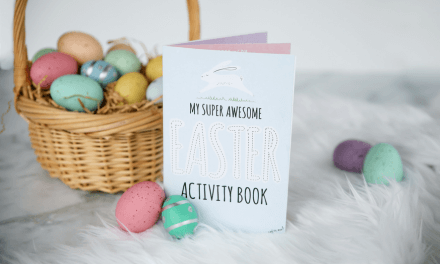 The book that accompanies the doll brings it to life and makes it a welcome bed mate – their very own Super Hero that will protectively watch over them while they sleep. A concept that can really help calm those with “monsters under the bed” type fears. And don’t forget the Hatch Baby Rest (mentioned above in the Sound Machine and Nightlight categories), which has fully customizable time‐to‐rise programs integrated into its app! Ever wonder if your child’s room is letting in too much light for them to realize it’s time to sleep? Especially during those long summer days when the sun is rising super early, or at naptime when there’s no darkness in sight. Blackout curtains that block all light from coming into your child’s room and potentially messing with their sleep rhythms. The problem of course is that custom made blackout‐lined curtains or blinds can get extremely pricey. 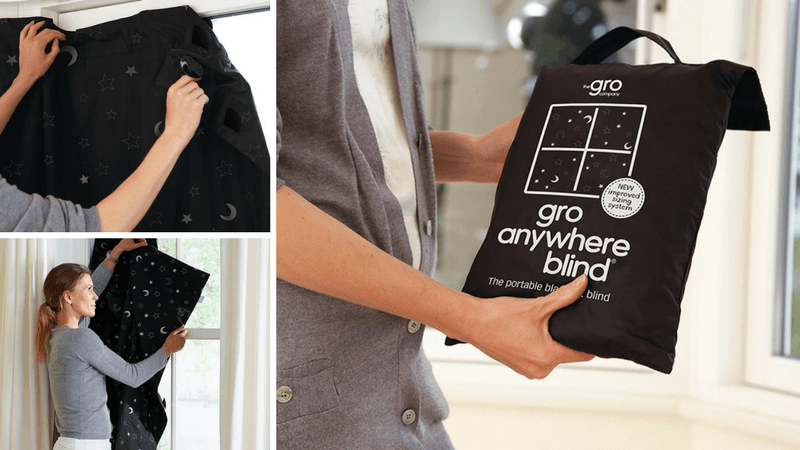 However, we are excited to share a fabulous, reasonably priced option that can still give you the same blackout results: the Gro‐Anywhere Blinds. These nifty curtains easily attach to your window with suction cups, and can be adjusted for almost any size using a velcro‐gather system. 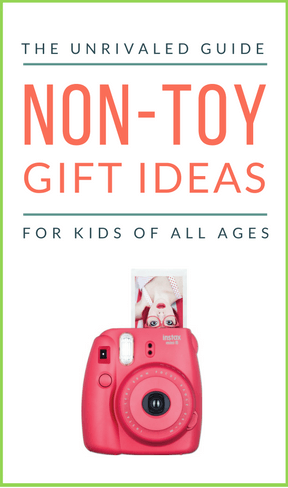 They can even be folded up and put in the included travel pouch to take with you on vacation, or to Grandma’s, so your child’s sleep is never interrupted, wherever you go. Nothing is worse than finally getting into a sleeping groove to have it disrupted by cough and cold season. Luckily there are some genius products that can help our kids get a goodnight’s sleep, even when they’re not feeling their best. For those that swear by humidifiers but can’t stand cleaning them, this genius machine will be your savior! 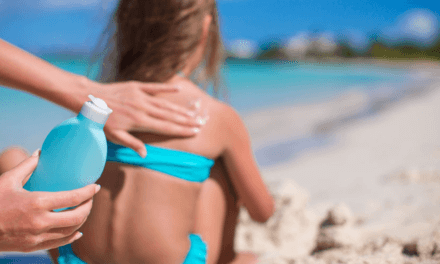 Salin Plus is a portable, at‐home salt therapy device that releases therapeutic salt into the air – it not only cleans the air of pollutants like dust mites, bacteria and mold, but it is also clinically proven to help with respiratory and sinus issues, including asthma, allergies, and sinus infections. 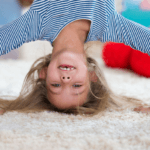 Editor’s Note: since my family has started using Salin Plus in our bedrooms at night, my chronic‐cougher daughter no longer wakes herself up (meaning more sleep for us both! ), and the duration and severity of all our colds and respiratory infections has been significantly reduced. The biggest bonus: it has made my husband’s snoring far more manageable! Mark this as one device that we looked at pre‐baby and said, “eww!”. But once we realized the effectiveness of its design, we soon changed our tune. The NoseFrida is a doctor‐recommended, non‐invasive nasal aspirator, that is a major improvement upon the bulb style “snot suckers” from the past. 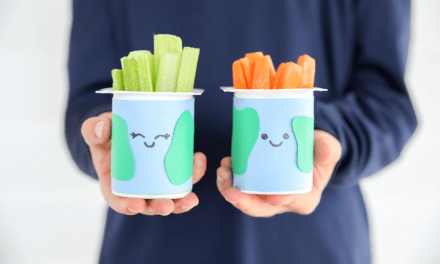 Simply place the tube against your little one’s nostril and use the straw on the other end to suction out any mucus from their nose. Sounds totally horrendous, but not to worry, there is a filter preventing anything from getting inhaled, and once you witness the results, you’ll be more than willing to repeat. It’s easy to clean and we recommend it be a part of every parent’s first‐aid kit, so sleep doesn’t have to be interrupted by a stuffy nose. 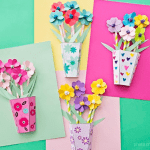 These smaller items and ideas are relatively inexpensive and easy to implement – and certainly worth trying, because sometimes it’s the little things that can make a big difference. Loveys come in many shapes and sizes, and you often have to try a few different ones to see which your child is naturally drawn to. There are some, however, that seem to naturally appeal to a larger number of children (many we’ve had personal success with) which we’ve included below, and would recommend adding to your trial‐and‐error list. Please note: the AAP recommends nothing loose in the crib, including loveys, until the age of 1. 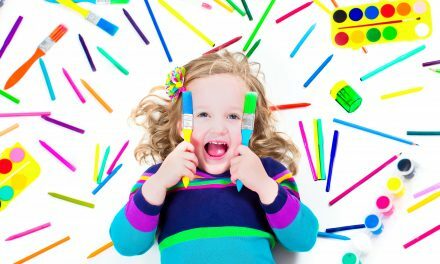 That being said, we feel it is still valuable to present these to your child to bond with at an earlier age outside of their crib – allowing them to snuggle with their lovey while nursing/feeding or playing, will strengthen their attachment to it, ultimately making it a coveted and soothing item once they are able to use it in their crib. (1) The Jellycat Soother Security Blankets have been a huge hit for our What Moms Love staffers. 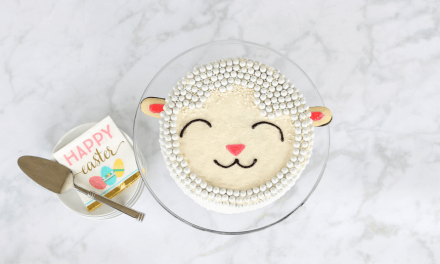 Not only does this brand have a huge assortment of adorable animals to select from, but all of their products are so soft that baby can’t help but snuggle up. 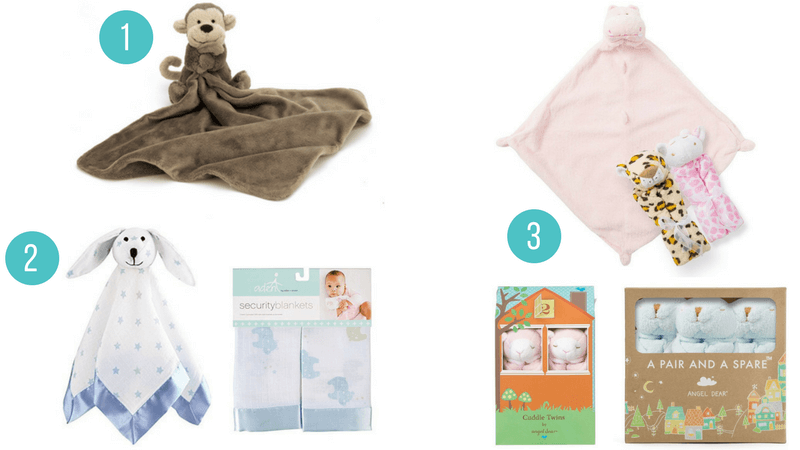 (2) If you’re a fan of aden + anais swaddle blankets, you’ll love their animal loveys and satin‐trimmed security blankets, which feature the same soft cotton muslin material. The part we love the best: this material is breathable, so if your little one does end up with it over their face, air can still flow. (3) We also give our seal of approval to the darling selection of Angel Dear blankies which are part stuffed animal (the head) and part blanket (the body). And how smart is this – Angel Dear sells these blankies in “cuddle twins” sets or “pair and a spare” packs so that you can always be sure to have a back‐up – either to swap out for a wash, or if disaster strikes and one goes missing! (1) Overnight Diapers: It’s one thing for your baby to wake up because they’re hungry, but another altogether if they wake up simply because their diaper isn’t keeping them dry. Luckily there’s an easy solution: overnight diapers – which are extra absorbent to keep your growing child dry and comfy the entire night (some of our favorites are from the Honest Company which start at size 3 for babies 16–28 lbs). (2) Booster Pads: Another option are diaper booster pads, which you can insert inside any regular diaper for an extra layer of absorbency. Although they’re a lot bulkier than an overnight diaper, they sure do hold a lot of liquid! And that could mean the difference between a night full of waking up, and a full night’s sleep. 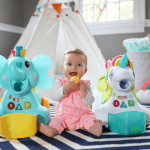 (3) Teethers: If your baby is teething, take a peek at The 10 Best Teething Toys Your Baby Needs For Instant Relief to help you find one that can ease their discomfort and soothe their sore gums – ultimately helping them fall into a deeper, pain‐free sleep. (4) SkipHop Light Up Diaper Caddy: We thought this little modification to the diaper caddy was as creative as it is convenient. 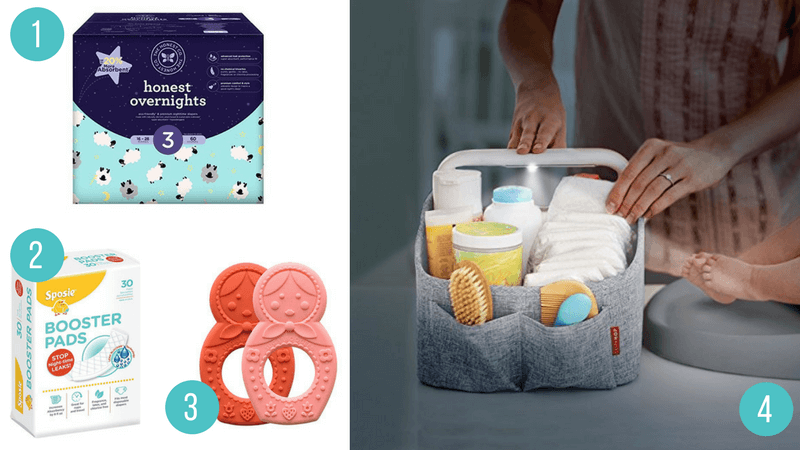 The SkipHop Light Up Diaper Caddy integrates a small light in the handle so with a press of a button, you will be able to see your supplies, and use the residual light to change the diaper. This not only saves you from turning on the lights, but helps keep your baby as sleepy as possible, so you can both get back to the Zzz’s that much faster. Back to bed, Ed! : A book that might sound all too familiar where Ed’s Mom and Dad devise a plan to help him stay in his own bed. A Bed Of Your Own! : A sweet rhyming tale to help the character, Suzy, stay in her bed at night time. Your Own Big Bed: Perfect for a child who is making the transition into a big bed. This book compares the move from crib to bed to be like moving “out of the nest” in the animal world. Big Enough for a Bed: For all the Elmo fans out there, this is a verrrry simple to understand book where Elmo moves from crib to big bed. We must admit, we thought it wasn’t going to resonate with our kids, but they kept pulling it out night after night. You may be surprised at the power of Elmo with this one! Establishing a consistent bedtime routine is extremely important for ensuring a successful night’s sleep. In the newborn stage this usually involves a soothing nightly routine which can include bathing, massage, getting into PJs, swaddling and feeding/nursing. 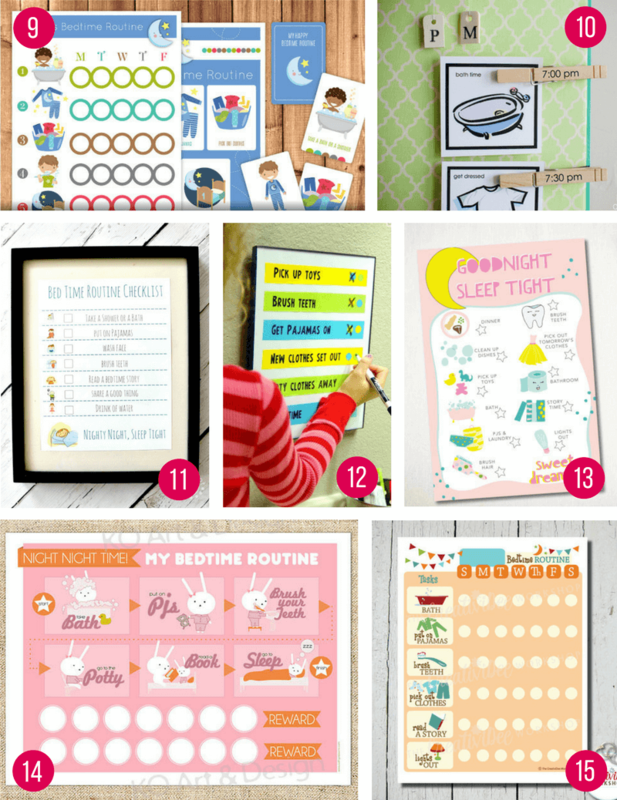 Once your child is old enough to comprehend a simple chart, we highly suggest using a Bedtime Routine Chart so that they can visually see the steps they need to take before heading to bed. 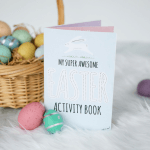 Not only does this give them a sense of pride and independence, but also helps train their minds and bodies to unwind in preparation for sleep. We hope this list of life‐changing sleep products has given you some great ideas to try for your own child. We know that a well‐rested child means a well‐rested family and we wish you and yours many nights of uninterrupted slumber. Sweet dreams! Have you tried any of these game‐changing products? Let us know the ones that worked best for you in the comments below. Meghan is an Advertising Exec turned Mommy who is currently living in the Netherlands with her two‐year‐old daughter and husband. 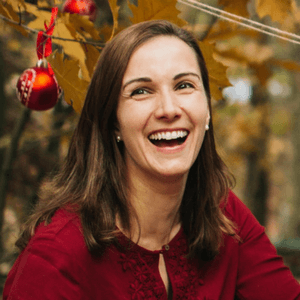 She is a proud military spouse who craves stability, a clean freak who hates cleaning, and a planner whose New Year’s resolution is to live in the moment.